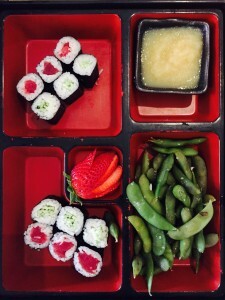 Featuring an assortment of new beef, chicken, and sushi bento boxes in addition to playful toys such as “Busy Bentos,” the family-friendly restaurant encourages children to cue their chopsticks. 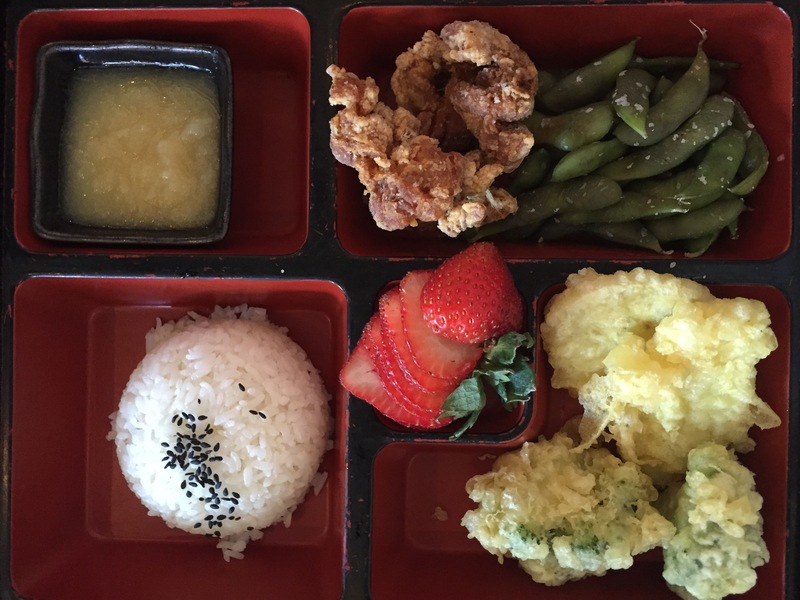 On Saturday, May 9, 2015, Sushi Roku Pasadena rolls out a new Okosama Kids’ Menu(Okosama refers to a “kids’ menu” in Japan said to be invented in 1930) for children 10 and under. Offering creative, yet approachable takes on modern Japanese favorites, the new bento boxes feature a wholesome protein choice—beef, chicken, or sushi—in addition to health-minded sides such as broccoli, edamame, and applesauce. At Sushi Roku Pasadena, playing with one’s food takes on new meaning as each meal comes with an activity or toy (subject to change) and younger children may enjoy playing with “Busy Bentos” from Melissa & Doug, 24-piece wooden sushi play-food sets packed with sliceable sushi rolls, shrimp, tuna, easy-use chopsticks, a cleaver, and more. ROKU: Innovative Dining Group’s Sushi Roku has been at the forefront of the sushi revolution since it first opened its doors in 1997, redefining Japanese cuisine by fusing centuries-old culinary traditions with contemporary accents in a trend-setting environment. Sushi Roku specializes in inventive and globally inspired Japanese cuisine overseen by Corporate Executive Sushi Chef Hiroshi Shima and Corporate Executive Chef Tyson Wong and boasts locations in Hollywood, Santa Monica, Pasadena, Las Vegas, NV, and Scottsdale, AZ as well as the soon to open location in Newport Beach at Fashion Island. DINING GROUP: Innovative Dining Group (IDG) operates twelve of the most popular and successful restaurants and lounges in Los Angeles: Sushi Roku (with locations in Hollywood, Santa Monica, and Pasadena), BOA Steakhouse (with locations in West Hollywood and Santa Monica), Katana in West Hollywood, Robata Bar in Santa Monica, and Soleto Trattoria & Pizza Bar in Downtown Los Angeles. The company also operates a Sushi Roku at the Forum Shops at Caesars Palace in Las Vegas, and another at the W Scottsdale. In addition to its renowned brick-and-mortar locations, IDG opened two concepts at LAX airport: B Grill by BOA Steakhouse in partnership with Areas USA, and Luckyfish in partnership with Star Concessions. All of IDG’s venues reflect bold, modern interpretations of traditional concepts, reflective of the company’s dynamic partners. For more details please visit IDG’swebsite or Facebook page. Credit: SUSHI ROKU/Innovative Dining Group. No compensation was received to post. I will be reviewing soon! Can’t wait!